The postage stamp of Shibasaburo Kitasato (1853-1931) who was a member of the Imperial Academy (former name of the Japan Academy) was issued in 2003 in commemoration of the 150th anniversary of his birth. 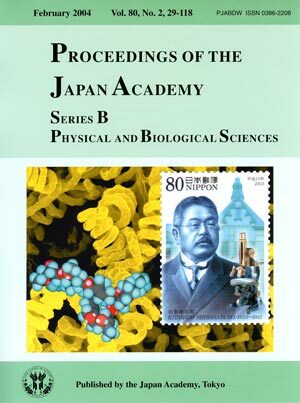 Shibasaburo Kitasato succeeded in the pure cultivation of tetanus bacilli and followed with the discoveries of the antibody for tetanus and its serotherapy. Shibasaburo Kitasato worked for extermination of Infectious Diseases, under his policy that research results should be quickly applied for protection of people from contagious diseases. His policy has been handed down until now to The Kitasato Institute which was founded by him in 1914. Under such circumstances, avermectins were discovered in 1979 by Satoshi Ōmura et al. whose review article appears in this issue. Avermectins have potent anthelmintic and insecticidal activities. In particular, the hydrogenated product of avermectin B1a(ivermectin) is used as an important anthelmintic in veterinary medicine as well as for the control of onchocerciasis in human. 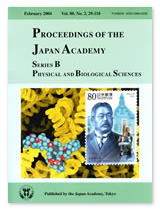 Written by Dr. Satoshi Ōmura, M. J. A.